Today’s Royal Arch Masonry effectively began with the formation of The United Grand Lodge in 1813 and the Supreme Grand Chapter in 1821. 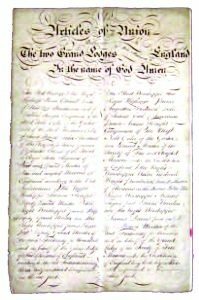 Prior to this, there were two Grand Lodges with rather differing views of the Royal Arch and its place within Freemasonry and the negotiations to come to an agreement on this were some of the more difficult of the whole process of the Union of the two Grand Lodges. The first of the Grand Lodges was formed in 1717 and eventually became known as the Premier Grand Lodge while the rival, formed in 1751, adopted the name of the Antient Grand Lodge. The Premier Grand Lodge, the older Grand Lodge became, pejoratively by the Antients, known as the Moderns as they appeared to be a Grand Lodge that was moving away from its history. The Premier Grand Lodge never actively acknowledged the Royal Arch and did not consider it to be part of Craft Masonry and thus was not to be worked as a degree in Craft Lodges affiliated to the Premier Grand Lodge. 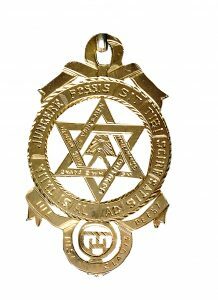 However, the Moderns did set up a separate organisation in 1766, the ‘Excellent Grand and Royal Arch Chapter of Jerusalem’, with, as now, the Grand Master being the head of the Order. 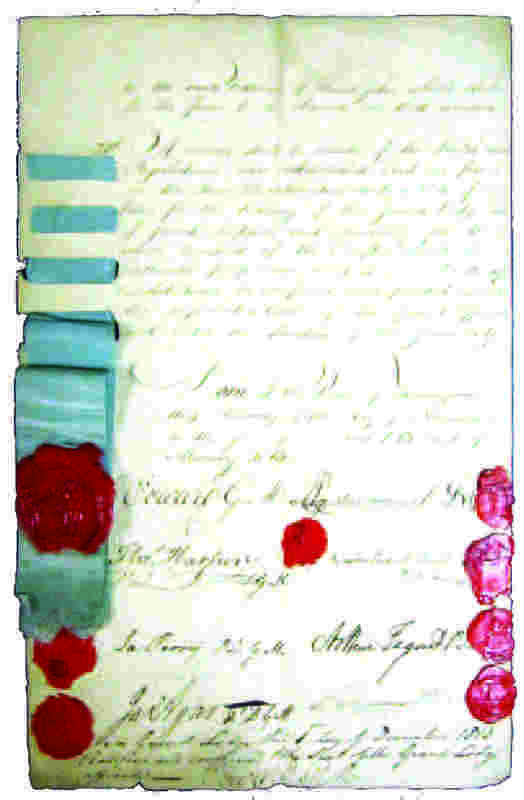 The Antients took a completely contrary view – that the Holy Royal Arch was the ‘root, heart and marrow’ of Freemasonry – and permitted and even encouraged their Craft Lodges to work the Royal Arch Degree as an additional ceremony, declaring themselves a Royal Arch Chapter for the purpose. The Union Compromise of 1813 between the two Grand Lodges remains in force today. The United Grand Lodge states (in the Articles of Union) that Pure and Antient Freemasonry consists of the Three Degrees of Craft Masonry including the Supreme Order of the Holy Royal Arch, and requires that Royal Arch Members wear their Chapter jewel in a Craft Lodge (thus keeping the Antients happy). The Royal Arch was from that time considered an entirely separate Order, different to the Craft and not worked in Craft Lodges (keeping the Moderns happy). 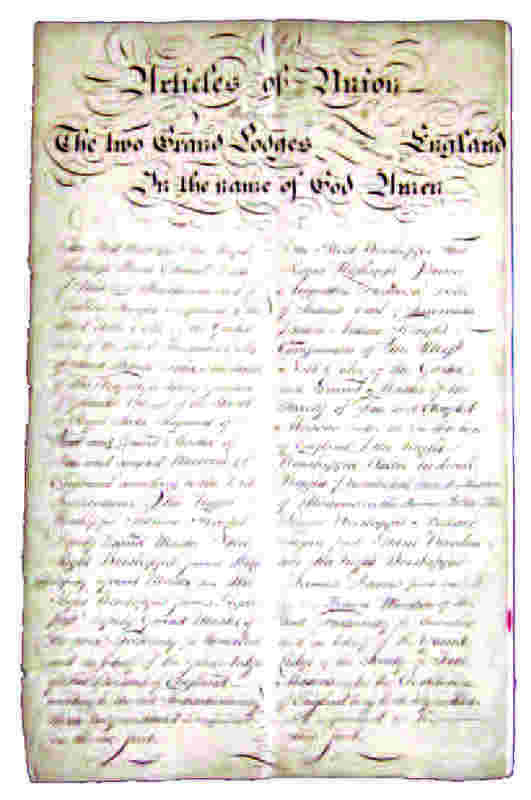 Since that time, the two orders have been thoroughly linked: for example the Article of Union statement appears in the Book of Constitution that all Entered Apprentices receive (a volume that also contains the Royal Arch Regulations); the head of the Craft is also the head of Supreme Chapter as is the Secretariat. 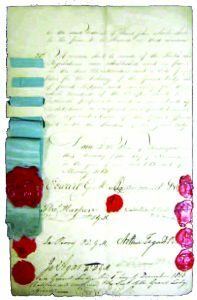 The immediate practical difference of the 1813 Union was that all Antient Lodges were no longer permitted to work the Exaltation Degree under their Craft Warrant and Chapters were now required to combine with a Craft Lodge, from which they took their number. Those Chapters failing to do so simply ceased to exist. This is why, to this day, a Chapter is linked to a Craft Lodge by number, although the name and governance may be very different. It is also worth noting that the age of a Chapter cannot be easily defined by looking at its number but must be done by a more lengthy look at its Date of Warrant. If you wish to have more information, there are many research volumes, lectures and texts available on the Internet or elsewhere.